Why don’t you believe that there is still a hope in deep despair? Mr. Takahashi was in the depths of despair by various neuropsychological deficits when he fell in cerebral hemorrhage. But there was a clue to get over. 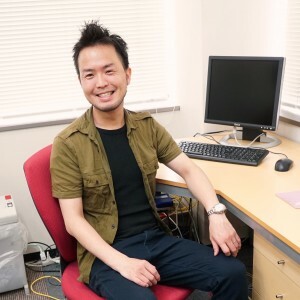 He worked as an engineer from the dawn of web service in Japan, and released over 550 websites. At the end of overwork, he fell in cerebral hemorrhage. Facing many obstacles like taste disorders, paralysis, speech disorders, and visual field defects, but his visual field defects, which is said “impossible” to recover, slightly recovered by the unique rehab supported by the University Hospital. Yet it was not completely recovered, he went to the technical school of web, and studied everything he used to have again.